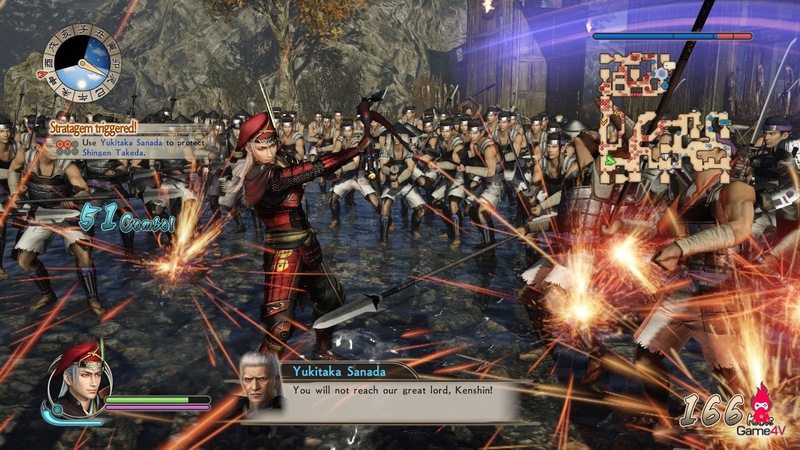 The next Warriors game from Koei Tecmo is another Samurai Warriors game, but it's a very different one from what we're used to from the developer. With most Warriors games, the story of dozens of different characters is told at once. For the upcoming Samurai Warriors: Spirit of Sanada, the game focuses on a single family; the Sanada, who were one of the most well regarded and feared military forces in Japan at the time. It's going to be interesting to see how this game turns out, with a much stronger focus on a single narrative and storytelling experience this time. 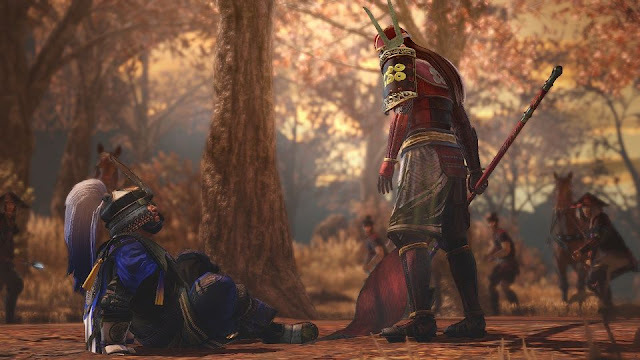 I had a chance to chat with the producer of the game, Osamu Mieda, about his team's intention for Samurai Warriors: Spirit of Sanada, the value of history to the game's experience, and where they see the series going next. Oh, and if there's a Dynasty Warriors: Lady Sun down the track, you can all thank me for that one! 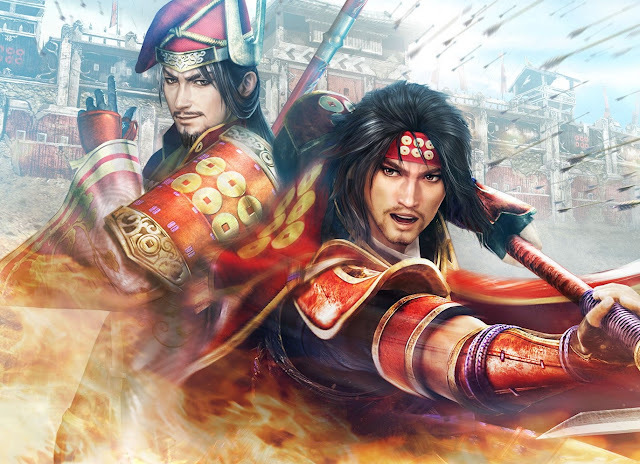 Related reading: On Samurai Warriors and historical authenticity; why Koei Tecmo is far more authentic than many give it credit for. Matt Sainsbury (MS): The Musou games have always been well-regarded for their large casts of characters. What was the decision behind instead choosing to hone in on a relatively small cast? 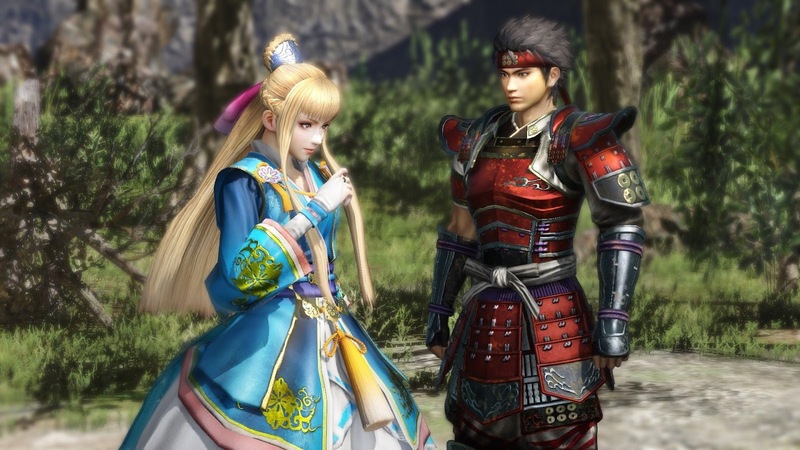 Osamu Mieda (OM): The Musou series has been well-received for its large cast of characters and how each character is portrayed as a protagonist within games, but on the flip side, it has become difficult to delve deeper into each character. As a new endeavour for the Samurai Warriors series, we decided to create a game that focuses on the life of a single character. We have aimed for a Samurai Warriors game that has a different type of gameplay than the main numbered titles, as well as the spin-offs such as Xtreme Legends and Empires. MS: Why did you choose to focus on the Sanada family, specifically? Was this a result of the extra interest placed on the Sanada due to the NHK TV show that ran last year (from my memory)? OM: The Sanada Maru drama definitely had an impact, but Yukimura Sanada can be considered as a main character of the Samurai Warriors series too. In addition, the newly added character Masayuki Sanada, Yukimura’s father, is a character which many fans of the series have requested, so we also felt like this was the best timing. With the fascinating lives of characters such as Masayuki, the man that Ieyasu Tokugawa most feared, and Yukimura, who was considered Japan’s premier soldier, I think that people that are not familiar with the history will be drawn into this game! MS: If this game is a success, could we see more Musou games focusing on a single character, or a small cast? If so, can I please request a Dynasty Warriors: Lady Sun, or a Samurai Warriors: Ginchiyo Tachibana? OM: There is no information I can share at this moment, but personally I think it was a very fulfilling game to create, and we have received positive reviews from the people who have played it. I hope we can continue this in the future. Lady Sun or Ginchiyo Tachibana… We have received your passionate request! MS: We’ve seen Koei Tecmo start to experiment with more in-depth storytelling in the Warriors games; I remember Arslan, especially, having quite an in-depth story. Do you see the Musou formula continuing to develop as a storytelling medium moving forwards? OM: Thank you for the compliment. In terms of an in-depth story, compared to the other Warriors titles to date, we put a lot focus into and took pride in the story of Samurai Warriors: Spirit of Sanada. The heated drama of the Sanada clan as well as their allies and enemies will unfold, so we hope everyone will try playing it. MS: Obviously the Musou games are not realistic, but as I’ve argued often, they’re very historically authentic, in that the character designs, costuming, and the battles themselves are all abstracted from the real history. Do you consider the Musou games as “educational” in the sense that they encourage people to learn more about the Sengoku/ Three Kingdoms eras? Is that deliberate? OM: Our company founder, Yoichi Erikawa, established the ‘historical simulation’ genre in Japan and our company has created many games using history as the subject matter. I think that one of the reasons why we have been supported for so long is that we always respect history. 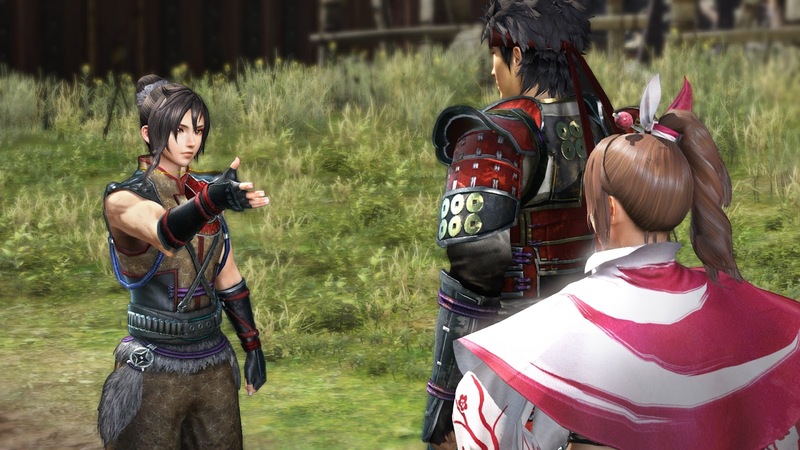 For example, the character design for Samurai Warriors may seem a bit unusual at first glance, however we are not creating them from our imaginations, but as you mention, we are creating them based on real people using historical materials and anecdotes. Our thought process is not just to make them look cool or amusing. We have heard many stories of people who have played our games and gained an interest in Japanese history, or fostered an interest in the country of Japan, and it makes us feel very proud. Related reading: Matt's review of the original Samurai Warriors 4. MS: Do the Japanese still find the Sengoku period interesting? I’ve always wondered, because we don’t really learn about it at all in the west, but in Japan is it still something people enjoy studying at school or is it more an extracurricular interest? OM: I think it can be said that the Sengoku period is a special period for Japanese people. It could be likened to how medieval fantasy is regarded in western RPGs. It is not a very long time period, but it has a captivating human drama element woven by a countless number of fascinating characters, so the concentration of these elements during this period continues to draw in people even today. In school, we learn about the key points in history, but it actually isn’t covered too much. It is more through mangas, tv, novels and games, that people gradually become captivated and drawn into the Sengoku period. MS: It’s obviously important to keep developing the series forwards so that players continue to be interested in the Musou games. What are some of the new features we can expect in this game, and how might the Musou series continue to change from here? OM: There are many new features, and below is a sampling of what is included in this game. In previous Samurai Warriors games, each battle was depicted on a single battlefield, but in this game, battles occur across multiple battlefields, allowing us to include more details into these episodes. In addition, battlefields change from day to night through the passage of time. During the day, enemy troops are on guard and their strength is influenced by morale, whereas at night while there is no effect on morale, there are ninja troops that lurk in the darkness to stage surprise attacks, so it becomes important to consider at what time of the day to proceed. In addition, for items that unleash effects during battle, there are items that have effects during the day, while there are others that unleash effects at night so it becomes necessary to use them accordingly. In battles, by fulfilling the conditions for Feats set for each battlefield, various benefits can be earned. The actions of the player in the castle towns, and Feats earned in the previous battlefield, can launch Stratagems that can influence battle. So in addition to the players’ activities affecting the next battlefield, players can select how to actively use things, making the game much more strategic. In previous games in the series, the story was shown through the narration and event scenes between battles, so in addition to this, we have increased the story element in the Castle Towns; through interactions between characters to explain the historical background, as well showing the characters’ daily lives. There is also the addition of various facilities, tasks and exploration features that use the Castle Town as a base, so I think this has expanded the breadth of game play. MS: People rarely talk about the music in the Musou games, but I’ve always found it to be beautiful; especially the way so much of the score uses the shakuhachi (at least, I think it’s the shakuhachi), and mixes other traditional Japanese instruments with modern music genres. How does your music team go about designing the soundtracks for these games? OM: To begin with, the sound concept for the Samurai Warriors series as you have summarised, is a fusion of Japanese instruments (traditional Japanese instruments such as shakuhachi, shamisen, taiko/Japanese drum) and modern electronic instruments. For this game, in order to make the fierce and dramatic story of the Sanada clan stand out, we included recordings of string and woodwind ensembles. As with Samurai Warriors 4, we also included music to feature certain characters and music that leaves a strong impression of the battle content, giving us a number of different tracks to match the situations, so I think this is a feature of these games. The flow of how the soundtrack is designed begins with the game designers providing the sound designer with their image of each piece of music. From here a demo track is created and shared with us, the game designers (as well as producer and director) then provide feedback to fine-tune and create the final product. Related reading: A previous interview/ feature on Samurai Warriors with Osama Miedu on Samurai Warriors 4 Empires. For the music used in battles, we had experience and knowledge from previous titles so most of the tracks were created smoothly. Sounds used for new system elements though, such as the castle towns, map of Japan and exploration were adjusted many times. MS: Finally, have you considered taking us to other eras of Japanese history with the Musou series? Surely the conflict between Minamoto Yoritomo and Taira Kiyomori would make for some fascinating action? I’m surprised at how well you know Japanese history! Actually, in one of our reception rooms in our company’s head office, we have a portrait of Minamoto Yoritomo and a portrait of Kiyomori’s heir Shigemori hanging on a wall to call up an image of the Genpei War! Please look forward to what kind of games we will create next! Before that though, please enjoy playing Samurai Warriors: Spirit of Sanada!